At Javo Beverage Company we are excited about the launch of our new website. 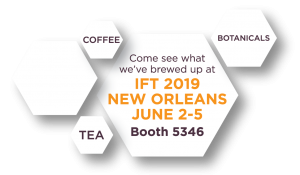 This launch is occurring at time of great opportunity within the tea and botanical industry and our extraction expertise is a great resource for those looking for opportunities to efficiently deliver a coffee, tea or botanical application for their final products, whether dispensed or as an ingredient. Javo has come a long way in the last several years as we have strengthened our leadership team, streamlined business units, and made key investments in order to position ourselves as a first-class coffee, tea, and beverage company. We are well positioned to take advantage of the opportunities at hand. 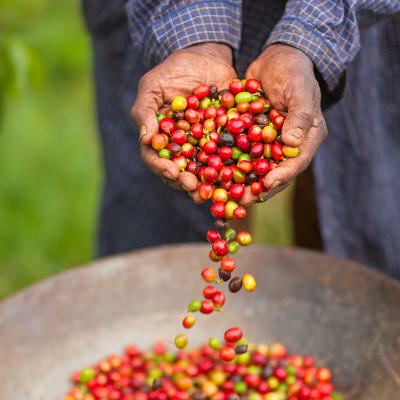 We have accomplished a lot in a short time—namely, reestablishing balanced growth in our hot coffee segment, securing significant new accounts and partnerships, gaining SQF certification, and laying key foundations to capitalize on the potential within the cold coffee and ingredients segments, which are ripe for substantial revenue growth in the next few years. Moving forward, we are focused on driving strong growth across our business lines through existing and new product offerings, and other exciting initiatives. I hope this more user-friendly, updated website meets with your approval and we look forward to supporting you and your needs in the future.